London: Britain's Prince Philip has been spoken to by the police for driving without a seatbelt - just two days after the 97-year-old survived a car crash. 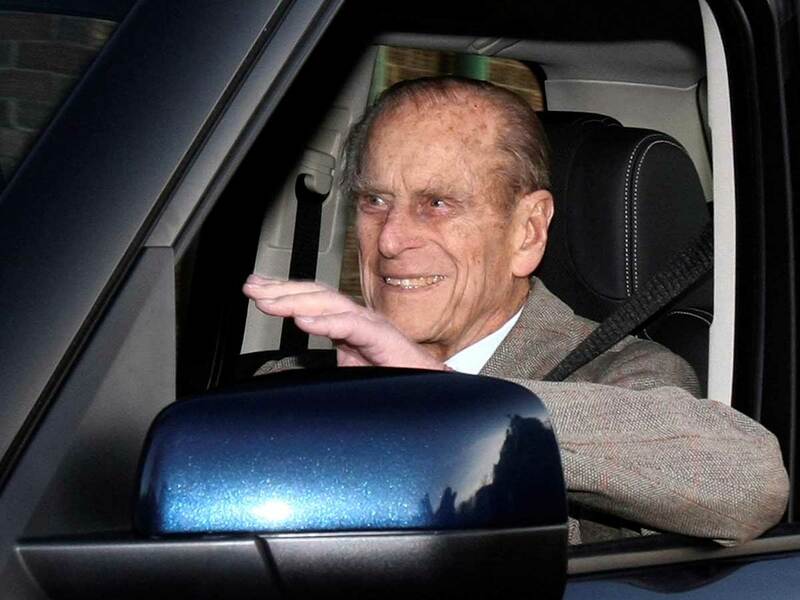 Images published in newspapers on Sunday appeared to show Queen Elizabeth II's husband behind the wheel of his replacement sport utility vehicle. The Duke of Edinburgh was pictured driving the new Land Rover Freelander on his wife's private Sandringham estate on Saturday. The prince was involved in a car crash on Thursday near the country residence in Norfolk, eastern England, in which his Freelander flipped over. The other vehicle involved, a Kia, contained two women and a nine-month-old baby. The crash happened as the royal patriarch pulled out of a side road onto a busy main road. A Norfolk Constabulary spokeswoman said the force was aware of the photographs taken on Saturday and that "suitable words of advice have been given to the driver". She said: "This is in line with our standard response when being made aware of such images showing this type of offence." The prince walked away from Thursday's crash shaken but uninjured, according to a passer-by who helped him out of the vehicle. The passenger in the Kia suffered a broken wrist and the driver sustained cuts to the knee. In a statement on Friday, Norfolk Constabulary said: "As is standard procedure with injury collisions, the incident will be investigated and any appropriate action taken."